This is the story of Cletus the Wayward Flamingo. Cletus was born, like most lawn flamingos, in Florida. 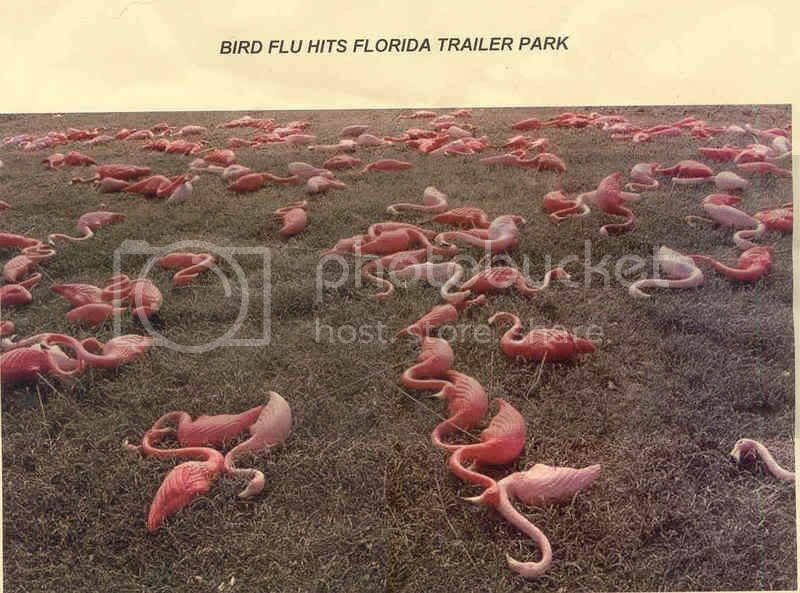 Unfortunately, he had to escape Florida when the bird flu began to hit. His momma didn’t raise no dummies. So he high-tailed it over to his nearest shipping location (Bet you didn’t know that lawn flamingos main mode of travel was UPS, did you?) and he was off on the next outgoing plane to parts unknown. Unfortunately for Cletus, parts unknown meant Texas. It was a strange time for Cletus as he had to learn to understand a funny accent and how to keep out of the way of pointy boots. And what was a flamingo to do with tumbleweeds and the likes? But his time in Texas was short and he found himself back at the UPS station and on his way to his next location. Cletus was hoping that his next stop would be more like his home state of Florida. Much to his dismay, when that box opened all he saw were trees. Big trees. And what was with all the rain? Yes, Cletus found himself in Washington. Land of the flannel shirt and Seasonal Affective Disorder. Was there no hope for our hero? But as luck would have it, I was the one who opened his box. I told him of my big plans to start the first lawn flamingo captive breeding program outside of Florida. We’ve been cruising the trailer parks looking for a lady friends for him (boom chicka bow wow) and he’s been a happy flamingo ever since. So the next time you’re in Washington, c’mon over. You’ll know the place when you see the flamingo with a big smile on his face. You might even be able to take home your own flamingo as a sign of your good taste and class. Won’t the neighbors be jealous? And now for a little nasty pimp business…. What are you still doing here? Go! Go read it!